I’m a sucker for sci-fi post-apocalypse stories. 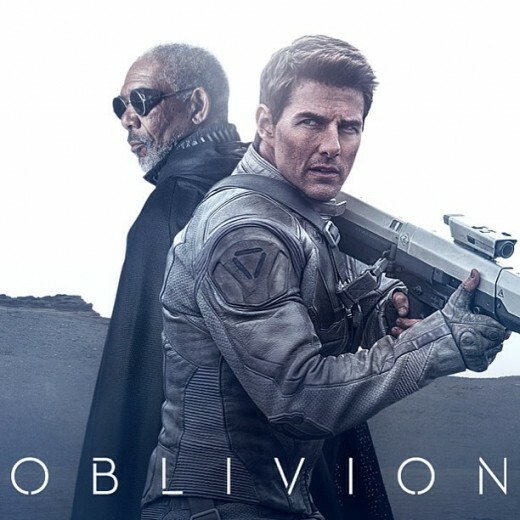 Oblivion, which debuts in theaters and IMAX on April 19 promises to be a good one. A new featurette from Universal Pictures shows us more of this movie from Joseph Kosinski the director of TRON: Legacy and the producer of Rise of the Planet of the Apes. On a spectacular future Earth that has evolved beyond recognition, one man’s confrontation with the past will lead him on a journey of redemption and discovery as he battles to save mankind. Jack Harper (Cruise) is one of the last few drone repairmen stationed on Earth. Part of a massive operation to extract vital resources after decades of war with a terrifying threat known as the Scavs, Jack’s mission is nearly complete.